More often than not, it is the waiting involved when applying for a loan that is the most stressful part. 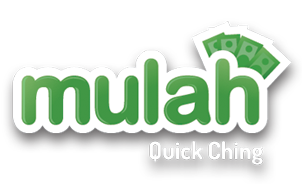 Let’s face it, not all financial lending institutions put too much emphasis on getting loan applications processed and paid out quickly, but at Mulah, that’s precisely what we do! We understand the nature of last minute expenses and the need for quick loans and we put our understanding to good use by presenting a loan model that works for everyone. Same day loans have never been easier to achieve! At Mulah, all loans applied for and approved by 3pm can be paid out on the very same day. What’s more is that the loan will be paid over to you via direct deposit which means that the cash will be instantly available in your bank account. While the concept of being able to acquire the much needed cash quickly is exciting, there are a few serious details that you will need to take care of beforehand. Firstly, in order to apply for a loan you need to visit our website and select the loan amount and repayment date on our front page. The system will calculate the repayment amount for you and on acceptance of this, the application can begin. We will of course require your personal information such as full names, ID number and banking details. Once the application is sent to us, simply wait to hear from one of our friendly consultants. You must be a South African citizen and over the age of 18 years. You must be permanently employed at the same business for no less than 3 months. Your salary must be paid into your bank account. You must have a clear credit record with no judgements against your name. At Mulah, we want nothing more than to ensure that you get the cash you need – when you need it. Our team works fast without compromising on quality and will ensure that you application is quickly reviewed and processed for your convenience. The repayment which is expected on your next pay day is organised via a debit order and if you wish to top up your loan before the next repayment date, then one of our friendly consultants can assist you with this. At Mulah, we don’t want to tie our clients into long term contracts with uncomfortable repayment terms. 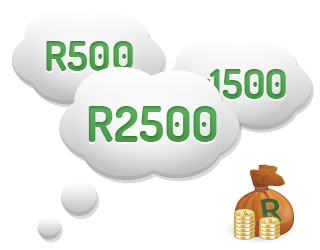 For this reason we only offer bridging cash in amounts from R500 to R2 500 maximum. This ensures that you can acquire the much needed cash assistance and still be able to pay it back with ease at the end of the month. If you are unable to repay your loan, certain penalties are attached. We encourage you to take the time to contact us to discuss your needs and requirements. When it comes to same day loans or quick loans when you need cash in a hurry, we are just the team to turn to.